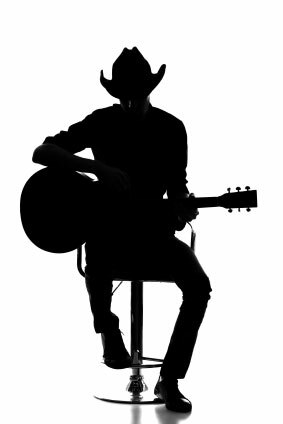 Like all other genres of music, the history of country music is a long and rich one. Musicians and music enthusiasts should know the history behind one of the most popular themes of music, and how it progressed, adapted and changed over the decades. The origins of country music can be traced back to the early 1900s, specifically to American fiddlers of the Southern Appalachian Mountains. In the early 1920s, the first recorded country record was produced by Victor Records and the singer, Eck Robertson. But it would be a few more years before the “Father of Country” music would catapult the genre into the history books. Jimmie Rodgers is widely regarded as the Father of Country Music. His song, “Blue Yodel #1” sold more than 1 million copies in 1927 and launched his recording career, which unfortunately, didn’t last long. Rodgers died in 1933, just six years after his single hit the charts. But his influence in country music was cemented in history, and made way for other country stars whoquickly followed his lead. The history of country music requires mention of The Carter Family, which was probably the most famous of all the vocal groups. The family consisted of A.P. Carter and his wife, Sara, and his sister-in-law. The group became very popular at about the same time Jimmie Rodgers hit the scene. One of the earliest hits for the family was a song that’s still popular today, “Keep on the Sunny Side.” Incidentally, one of the members ofThe Carter Family, Ruth Carter, went on to marry another famous country star – Johnny Cash. Once the road was paved by the early acts, country music was ready to take the world by storm. The turning point came in the early 1930s and through the 1940s when Hollywood movies featured cowboy films and country stars, such as Roy Rogers and Gene Autry. Now country music stars equaled the popularity of other music stars, and in some cases, such as with Hank Williams, surpassed them. Nashville became the capital of the country music scene in the 1950s and 1960s with such stars as Eddy Arnold and Jim Ed Brown. Music history students will note that in these decades country music took on a sophisticated tone blending big band jazz and even orchestras in the songs and storytelling. At the same time Nashville was making country music accessible to the masses, California was busy creating its own country music sound call The Bakersfield Sound. The Bakersfield Sound combined the gritty side of country music with rock and roll, some called it Rockabilly. Merle Haggard and other country stars made this genre their own. In the 70s and 80s country music took a few other turns. Willie Nelson and Waylon Jennings were at the center of The Outlaw Movement of country music, singing about breaking the rules and living on the lam. By contrasts, in the 1980s, big scene country stars such as Garth Brooks and Alan Jackson crooned about love, family, and friends and made the music genre once again appealing to the young and even to urbanites.